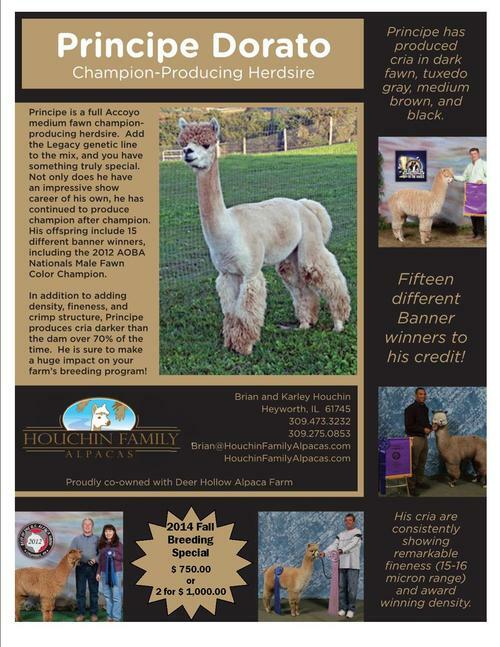 Prince's cria have demonstrated his ability to pass along color, even through white dams and provide great fiber qualities and conformation. Prince's cria have included dark fawn, tuxedo gray, medium brown and black. He is throwing color darker than the dam 80% of the time! 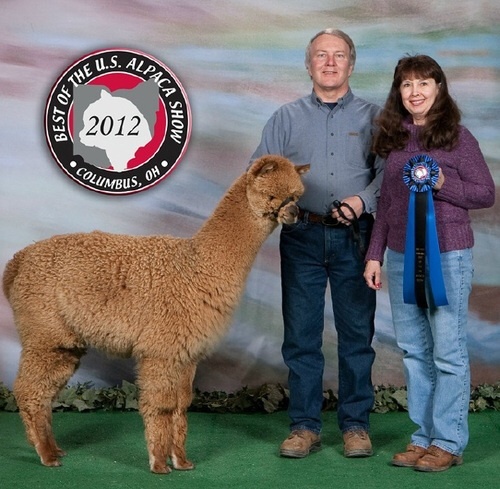 More importantly, his cria are consistently showing remarkable fineness (15-16 micron range) and award winning density. 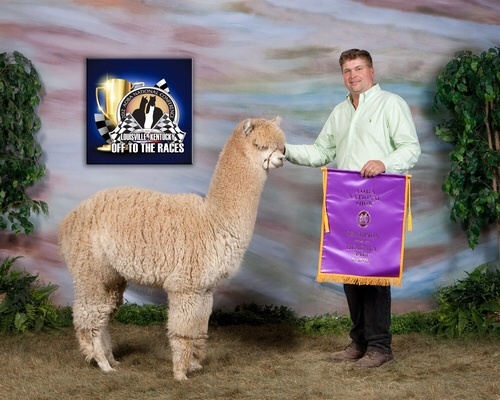 With 16 different Banner winners to his credit, he is earning quite a reputation for his production. Principe is an excellent choice when you are looking to add density, fineness, and crimp structure to you program. 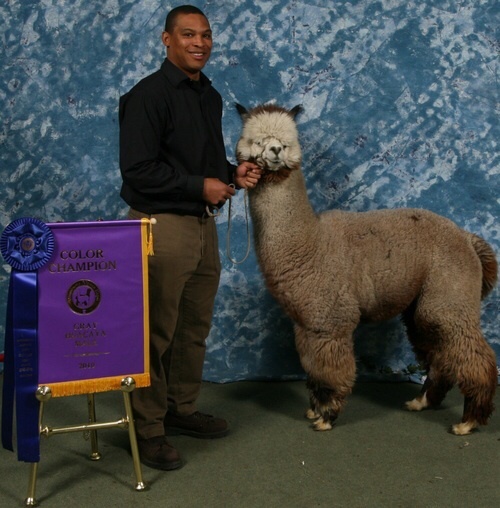 UPDATE March 2016 - HFAR Principe's Peruvian Selene takes First Place and Reserve Championship at the 2016 Railsplitter Alpaca Show! 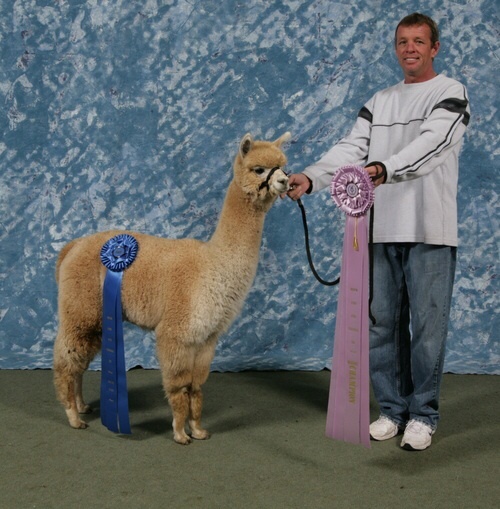 Contact us today to reserve a breeding to this spectacular male! 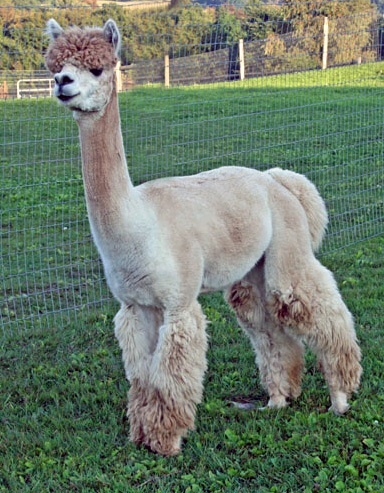 We proudly co-own Principe with Deer Hollow Alpacas in Georgia. Over 20 Championships won by offspring and counting!